Place your Wager and Cheer for your Champion! Gather your friends and ready your wagers! A new spectacle has arrived in the kingdom, brave warriors riding mighty rhinos are jousting to see who is the strongest. You and your friends are ready for a day of excitement, placing your bets, giving your favors and doing your best to influence the riders as you earn the most points to win the day. Jungle Joust takes players through the roller coaster world of underground gambling. Designers Adrian Adamescu and Daryl Andrews have teamed up again to bring to life the fantasy world of Rhino Riding Jousting. 2-6 Players will place bets on different aspects of the two competing Jousters. 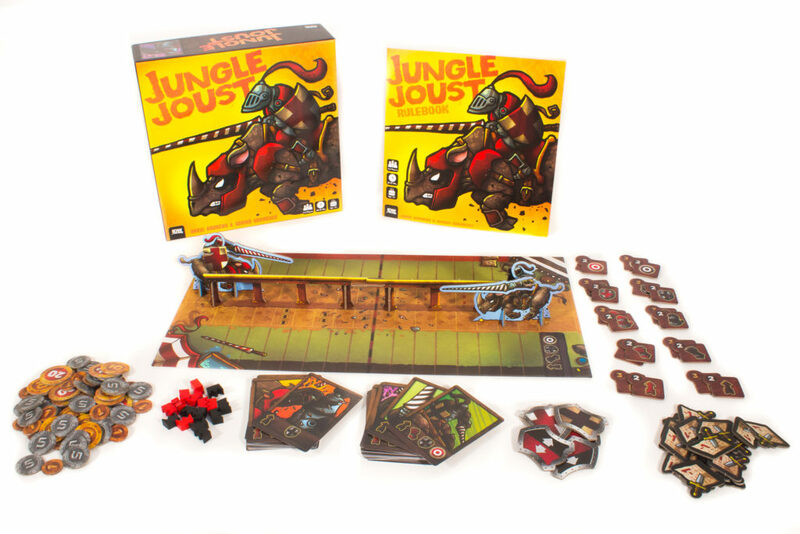 Players will play cards to move either Jouster and grant special boosts that may help or hurt competing Jousters. Control the market and bet wisely and you may walk away the richest in all the land. Will your rider win the day? 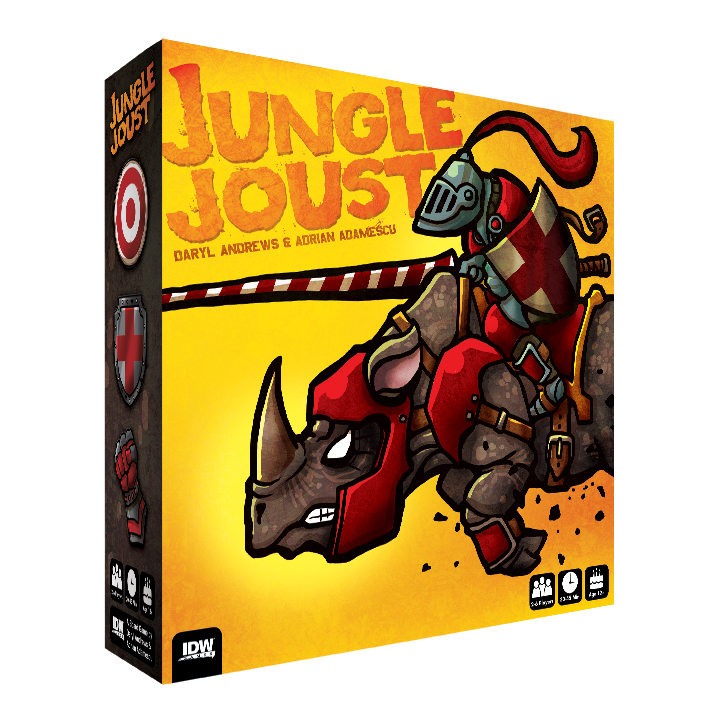 Even if your rider falls, place your bets and walk away richer than your friends in this exciting game of Jungle Joust. Available in stores this December 2017.